The LikeAble team loves watching movies and always looks forward to new cinematic masterpieces. To please all true lovers of cinema, we’ve compiled a list of the 15 most anticipated movies of the upcoming year. We can’t wait for 2017 to begin! The iconic animated fairy tale from Walt Disney will be given a brand-new life this spring. Fans of the cartoon will be happy to know that the classic ballads from the original animated film will be used in the upcoming live-action remake. With its amazing cast, colorful scenery, and wonderful graphics, the film is sure to invite you into the magical atmosphere of a good old fairy tale. Next year, Marvel Studios is planning to release one more comic-inspired movie, this time set in the world of Thor. The mighty son of Odin teams up with the Incredible Hulk to prevent Ragnarok (the end of the world). But in order to save the Universe, our heroes will have to fight the fire demon Surtur who wants to burn the Nine Realms and kill most of its inhabitants. Batman and Superman are forming a new team as a new threat is taking hold over the world. The villain’s name is Darkseid, and his power is so devastating that he can destroy the whole galaxy. But in order to find and recruit an unprecedented league of metahumans, Bruce Wayne will have to search the whole world. A must-see movie for all Stephen King fans! The long-awaited film adaptation of his world-known The Dark Tower fantasy series will be released in summer 2017. 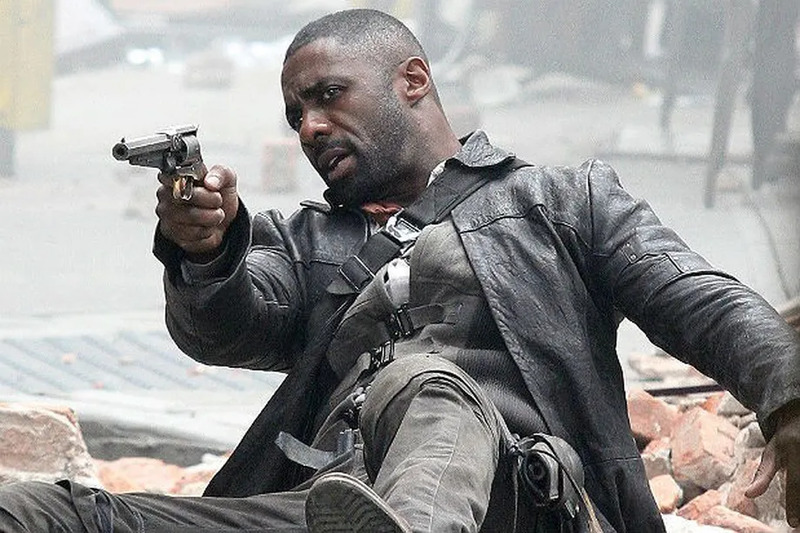 Starring Idris Elba (who also played Heimdall in the two Thor movies), this film will focus on gunslinger Roland (Elba) and his quest toward a mystical tower that can stop his world from being destroyed. Xander Cage is back! Vin Diesel’s character has to not only recruit a brand-new team of thrill-seeking professionals to help him complete a mission — he also has to convince these fearless guys to follow him. If you like incredible fight scenes, exciting car chases, and risky stunts, then this film is going to be your cup of tea. Jack Sparrow (oh, sorry, Captain Jack Sparrow) is out of luck again: the terrifying Captain Salazar, the leader of a crew of deadly ghost pirates and an old enemy of Captain Jack, escapes from the Devil’s Triangle, determined to kill every pirate at sea, including Jack. The only chance of survival is to acquire the legendary Trident of Poseidon, a powerful artifact that is said to give its possessor complete control over the seas. Diana, princess of the Amazons, grew up among the warriors on a sheltered island. But when a young pilot crashes on their shores and tells of a massive conflict that can destroy the entire planet, she decides to leave her home and stop the threat. Fighting alongside one another, the heroes will discover their true powers and will understand what they are willing to fight for. A very young woman (played by Alicia Vikander) is unhappily married to a rich older man. But the life of the heroine changes completely when her wealthy husband hires a young artist to paint their portrait. The passion between them is unstoppable. But how can the two stay together when everyone and everything is against them? Rey took her first steps into a larger world in Star Wars: The Force Awakens and will continue her epic journey with Finn, Poe, and Luke Skywalker in the next chapter of the continuing Star Wars saga. Who is Rey? What is her parentage? These questions will likely get the most unexpected answers. James is held captive by jihadists in Somalia, and his beloved lady, Danielle, prepares to dive to the deepest parts of the ocean. There are thousands of miles between them, but their love is the only thing that matters, and it gives them strength to live and fight. Although cyber technology has been helpful to the world in various ways, it can have chilling implications too. A dangerous villain nicknamed Puppeteer is capable of “ghost hacking” and taking control of a cyberized person’s body without their knowledge. Using his skills, he begins to interfere in politics. The only one who can bring down this nefarious criminal is cyborg policewoman The Major (Scarlett Johansson) who leads the elite task force Section 9. An ordinary expedition to the lost island turns into a disaster. From the very beginning, the team of explorers understands that they are not welcomed there. However, they are still unaware that it’s not the island’s owner whom they have to fear and that they’re crossing into the domain of the mythic Kong. The life of seven-year-old Tim is going its usual way: his parents love him, he has a great imagination, and seemingly no problems. But everything changes when a baby brother is added to the family. He wears suits, solves business problems, and manipulates his parents so deftly that Tim finds it hard to figure out who is his friend and who is not. Peter Quill (or Starlord, as he prefers) forms his own team, finds true friends, and eventually becomes respected by everyone. The only thing that worries him now is his parentage. He knows that his father was lost somewhere in space. But who was that man? This spring, we will find out the answer. If the stories about the rangers’ adventures ever made you sit glued to the TV screen, then this film is just for you! A group of high school kids, each with their own fears and problems, is suddenly infused with unique superpowers. Our planet is in danger, and only these young heroes can save it.